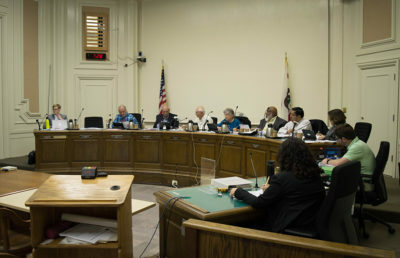 Berkeley City Council unanimously passed an ordinance on surveillance technology in order to protect the civil liberties and privacy of city residents at its regular Tuesday meeting. Berkeley is now required to analyze and report the effects of certain surveillance technologies before city entities are permitted to use them. The City Council would be able to approve or deny the purchase of new technologies, including cell site simulators, automatic license plate readers, gunshot detectors, facial recognition software, social media analytics software and gait analysis software. Many meeting attendees who wore bright neon yellow stickers reading “Protect Privacy!! !” showed up in support of the Surveillance Technology Use and Community Safety Ordinance. The attendees called the ordinance “unprecedented” because it directly addresses accountability and transparency in using surveillance technology, which they referred to as a national issue. Groups in attendance included Berkeley community members, the American Civil Liberties Union and the Council on American-Islamic Relations. 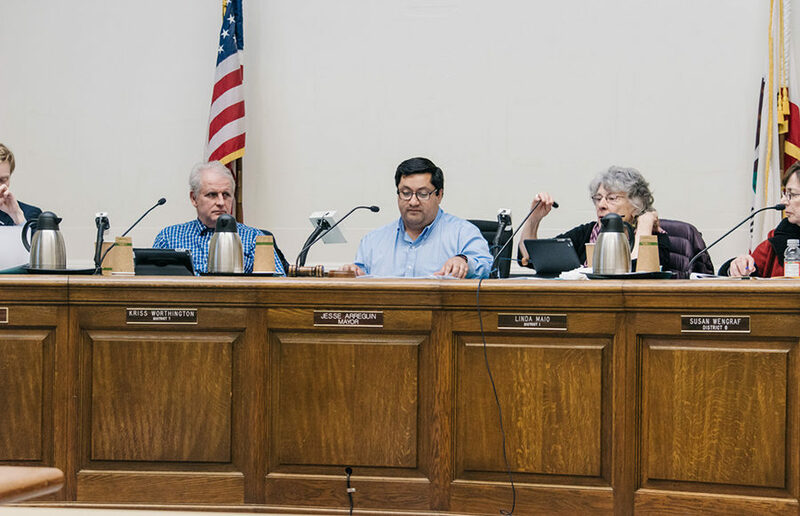 The discussion was centered on which city departments should be implicated in the ordinance — the council ultimately decided that the ordinance would encompass all city departments. 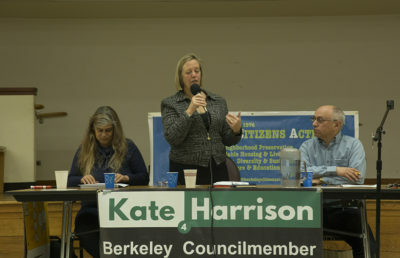 Councilmember Linda Maio, however, proposed during the meeting that the ordinance be applied solely to the Berkeley Police Department in order to avoid placing an “unreasonable burden” upon other city entities. Her suggestion was met with opposition from Councilmember Sophie Hahn and meeting attendees who felt that a more widespread ordinance would be most effective. Many community members were in support of this ordinance because it addresses their concerns about data breaches and the protection of privacy. 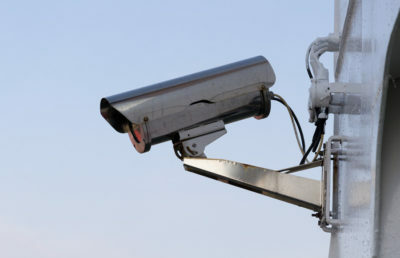 Councilmember Kate Harrison, along with other council members, expressed the importance of further research on other cities that use similar forms of surveillance technology, including Oakland, Piedmont and Alameda. “Understanding the impact of surveillance technologies on civil liberties — that’s what it’s about. That’s what we’re trying to accomplish,” Harrison said. At the meeting, Mayor Jesse Arreguín also declared March 13, 2018 as Faye Carol Day in the City of Berkeley to recognize jazz and blues singer Faye Carol’s musical accomplishments and influence on her students. The council also acknowledged the approval of the renovation of a men’s shelter through the Berkeley Food and Housing Project. Several men who reside at the shelter stood up and expressed their gratitude toward the project. Contact Sabrina Dong at [email protected] and follow her on Twitter at @Sabrina_Dong_.